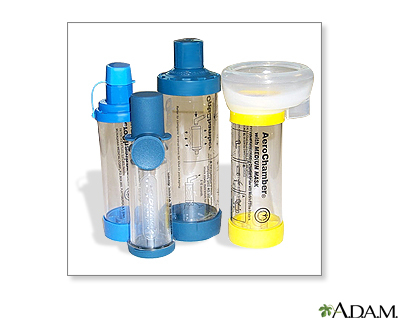 Spacers (also called holding chambers) work with your metered dose inhaler (MDI) to deliver inhaled medication more easily and effectively, and can reduce side effects. 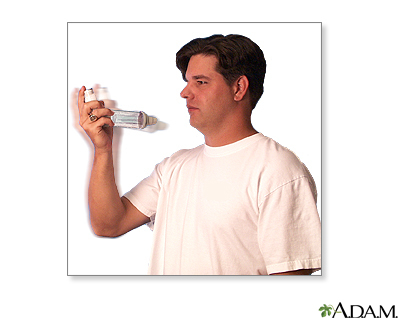 Spacers hold the "puff" of medicine between you and the MDI, so that you can inhale it slowly and more completely. As a result, more of the medicine gets into your airways. 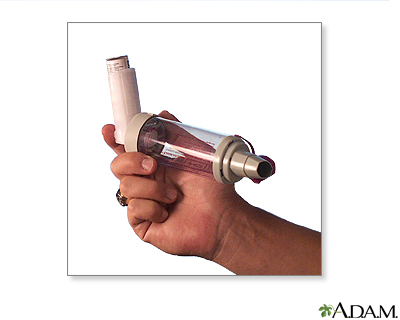 Hold your spacer and inhaler together and shake well, at least four or five times. 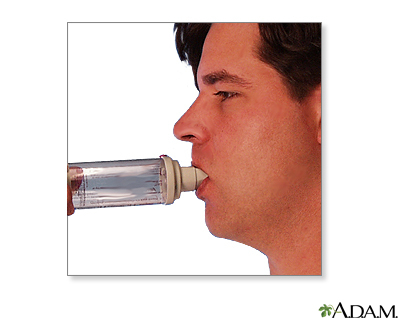 Place the spacer in your mouth, and close your lips firmly around the mouthpiece. Keep your body straight and your eyes forward. Exhale. 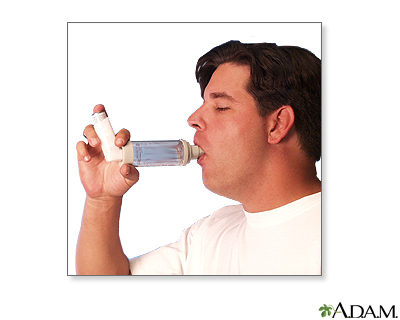 Spray one puff of medicine into the spacer, and immediately begin to inhale slowly for three to five seconds, taking a full deep breath. Remove the spacer from your mouth. 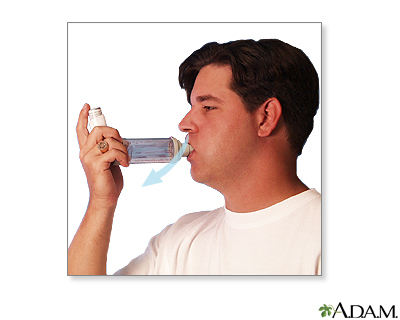 Hold your breath for as long as you can for up to 10 seconds. Breathe out slowly. 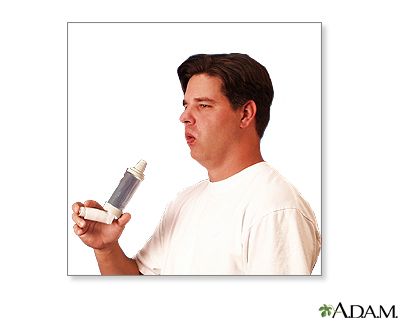 If your doctor has instructed you to take more than one puff of medication, repeat this procedure.